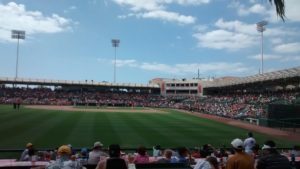 (Sarasota, FL) With today’s crowd of 7,357 for this season’s Spring Training finale at Ed Smith Stadium against the N.Y. Mets, the Baltimore Orioles have drawn a total of 103,167 fans for 16 home games in Sarasota. It is the ninth time in 10 seasons that the Orioles have welcomed more than 100,000 fans at Ed Smith Stadium. Since moving Major League operations to Sarasota, 1,091,516 fans have enjoyed Orioles Spring Training baseball in Sarasota. The Orioles recorded five sellouts this spring, including drawing a crowd of 8,623 on Wednesday, March 20 against Boston, the fifth-highest single-game attendance total at Ed Smith Stadium. On average, the club welcomed 6,448 fans per game, finishing among the top teams in Grapefruit League attendance. Don Henderson and Doug Miles broadcast from Ed Smith Stadium in Sarasota on St. Patrick’s Day. Topics include MLB rule changes, Baltimore Orioles, NY Yankees. Don Henderson and Doug Miles broadcast from Sarasota and recap the week in spring training. Topics include the Orioles, Yankees, Red Sox, Bryce Harper, Tom Seaver and Joe Angel. (Sarasota, FL) The Baltimore Orioles today announced the broadcast team for the 2019 season for MASN, the Orioles Radio Network and Orioles and MASN digital platforms. Longtime broadcaster Joe Angel has retired after 19 seasons as the “Voice of the Orioles” on the Orioles Radio Network. Angel spent more than four decades calling Major League Baseball games, including two World Series, 44 postseason games, and seven no-hitters. His signature calls of “In the WIN column,” “Wave it bye, bye,” and “Hasta la vista, pelota” have been enjoyed by fans across Birdland for nearly two decades. ESPN broadcaster Kevin Brown will join the Orioles Radio Network in 2019, serving as a play-by-play announcer for approximately 50 Orioles games this season. Brown currently serves as a play-by-play commentator on ESPN’s coverage of college football, basketball, hockey, and softball. In addition, he previously served as lead broadcaster with the Syracuse Chiefs, the Triple-A affiliate of the Washington Nationals, while serving as the Chiefs’ director of broadcasting and media relations. Brown is a graduate of the Newhouse School of Public Communications at Syracuse University, where he earned a degree in broadcast journalism. MASN All-Access host and reporter SARA PERLMAN will become the network’s sideline reporter, providing on-field reports for all regular season Orioles games. She joined MASN in 2017 to host MASN All-Access, MASN’s digital show on Facebook Live, where she covered the Orioles and Washington Nationals. A graduate of the University of Florida, Perlman previously served as a sideline reporter and color analyst for the North American Soccer League and Fort Lauderdale Strikers, and as a cage-side reporter for MMA Fights on UFC Fight Pass. Local Baltimore media personality and 105.7 The Fan broadcaster Rob Long will join the O’s Xtra pregame and postgame shows as the program’s weekend host. Long currently serves as a co-host for Baltimore’s Big Bad Morning Show on the Orioles Radio Network flagship station, 105.7 The Fan. Returning to their previous in-game roles are veteran broadcasters Gary Thorne, a Sarasota resident in the off-season, who enters his 13th season as MASN’s lead play-by-play announcer, and Jim Hunter, who returns for his 23rd year as a member of the Orioles broadcast team. Hunter will serve as the Orioles Radio Network’s play-by-play announcer for a majority of games, while also continuing to appear on MASN’s broadcasts. Hall of Famer and Orioles Legend Jim Palmer will return for his 27th season as lead analyst on MASN and his 56th season as a member of the Orioles organization. Former Orioles Mike Bordic, Dave Johnson, Ben McDonald, Gregg Olson and Brian Roberts will also provide in-game analysis throughout the season on MASN and the Orioles Radio Network. Orioles Hall of Famer Rick Dempsey will return for his 13th season as a member of the Orioles broadcast team, continuing his role on the O’s Xtra pre- and postgame show. Tom Davis returns to the program for his fourth season and his 21st year on Orioles telecasts, serving as the weekday host on O’s Xtra. 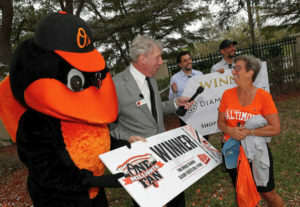 (Sarasota, FL) Diana Love of Sarasota was selected as the “One Millionth Fan” to attend an Orioles Spring Training game in Sarasota at today’s game against the Tampa Bay Rays. 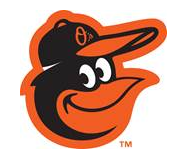 The Baltimore Orioles selected Love at random to represent the one million fans. In a special on-field presentation, Love received a prize package including a $5,000 shopping experience at Diamond Vault in Sarasota and two Spring Training season tickets for five years. Love and her husband, Mike, both worked as elementary school teachers in Bloomington, Ind., for 32 years. The couple has owned a home in Sarasota for 16 years and now, after retirement, spend the majority of the year there, attending games at Ed Smith Stadium during each Spring Training season. The Orioles began the 2019 Spring Training season on Saturday, February 23, with total attendance of more than 985,000 since moving Major League operations to Sarasota County for the 2010 season. The team is the fastest franchise to reach one million fans in almost a century of Spring Training baseball in Sarasota. Don Henderson and Doug Miles broadcast from Ed Smith Stadium in Sarasota on opening day of the Grapefruit League as the Orioles play the Minnesota Twins.